SAN FRANCISCO–(BUSINESS WIRE)–Light Polymers, a nanochemistry innovator specializing in lyotropic liquid crystals, is launching a Beta-test program for its innovative GrowBlade® horticultural lighting. 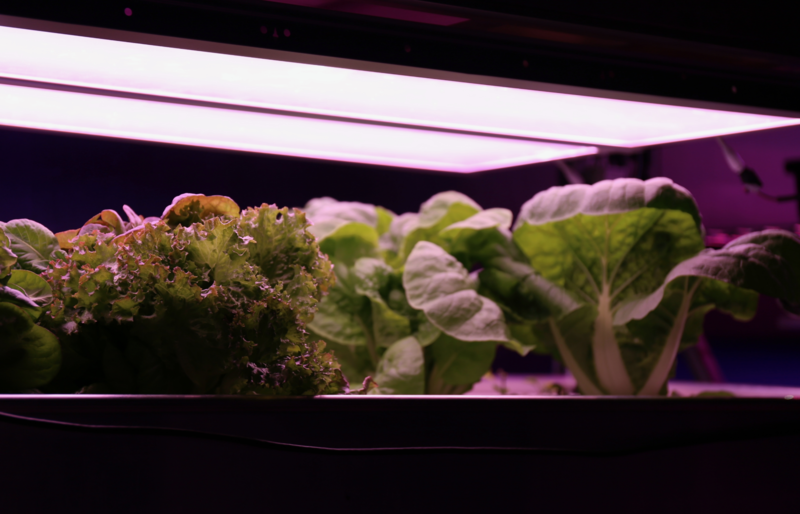 GrowBlade flat-panels use Light Polymers’ Crystallin® remote phosphor films to let indoor farmers grow closer, delivering even, consistent lighting in a range of rich crop-specific spectra. GrowBlades have a long service life, running cooler with less spectrum shift and lumen drop over time than conventional LED grow lights. Better quality full-spectrum light in a thin, wide-area form factor is a key to higher farm productivity. GrowBlade Edge 300 and 600 panels (approximately 300×300 mm or 1’x1’, and 300×600 mm or 1’x2’) will be available to select early adopters starting in June 2018. Longer GrowBlade Edge 1200 and 1500 models (approximately 1’x4’ and 1’x5’) will be available in late 2018. Both models have a slender form-factor (just 12.5 mm thick – not including the remote, dimmable LED driver) and will be among the earliest products certified to the new UL-8800 horticultural lighting standard. Initial Beta-test lights are available in two custom spectra, with more tailored crop-specific spectra to come based on customer input. Introductory pricing for GrowBlade Edge 300 and 600 models is set at $119 and $219 respectively.